In January 2015 the New York City Panel on Climate Change released its updated climate projections for the City, painting a portrait of a hot, rainy, flood-prone New York. 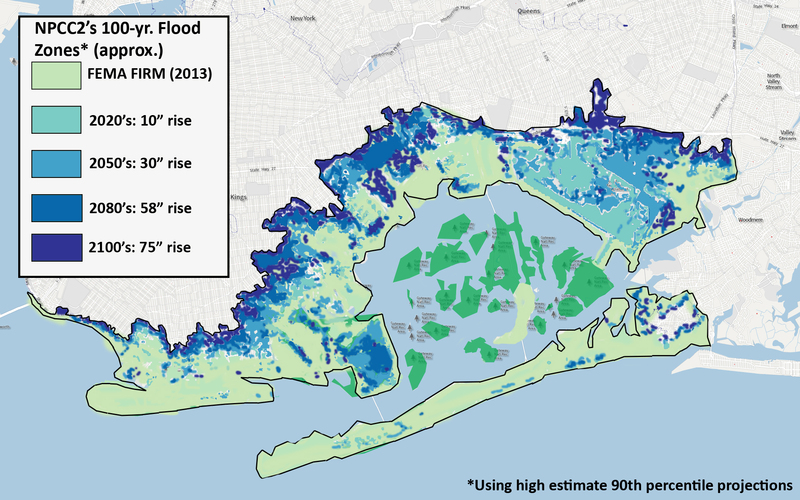 This research paper, written for Hunter’s Urban Affairs Capstone Seminar, looks at the area most impacted by the new sea level rise projections and creates a social vulnerability index (SoVI) for the 33 communities which fall within the projected 100-year flood zone. Visuals created for the report using the Adobe Creative Suite can be viewed here.